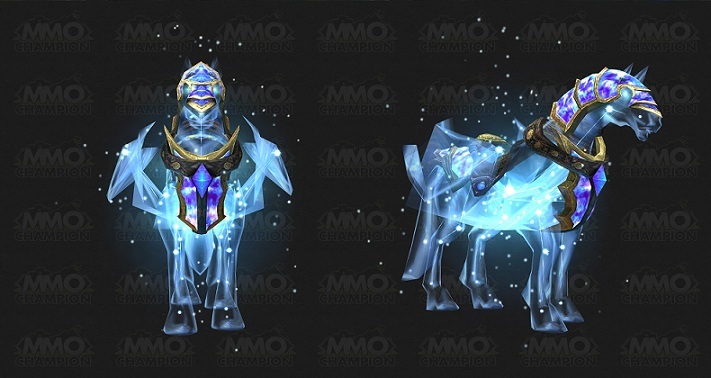 This one isn’t an elemental topic, it’s not even a raiding related topic but for me, it’s news worthy! Late last year saw the launch of the new Blizzard Pet Store. 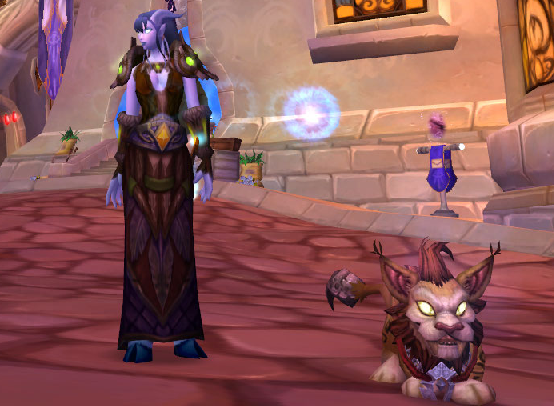 It was met with an understandably mixed welcome as players were offered the chance to purchase digital codes for redemption of two in game pets. I’ll admit that I groaned. 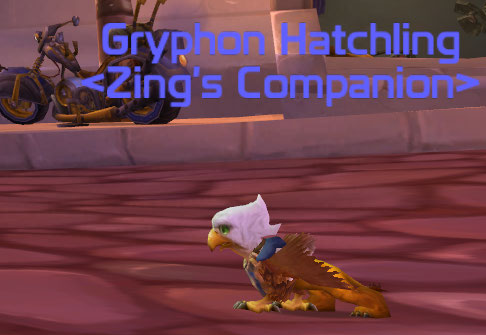 Okay, I groaned and then squealed with delight while I made my purchase (mid raid btw..) and tabbed back in game to pop a mail box and claim my new toys. Yes, I refused to continue the raid until I had them. In my defence, it was only Onyxia. 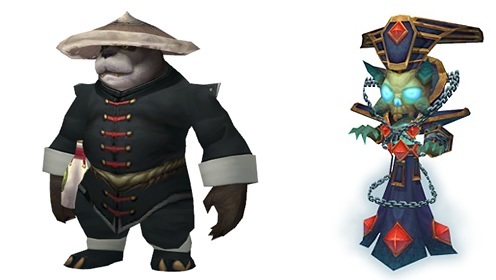 I got a warm fuzzy feeling about it though since half the proceeds from the Pandaren Monk went to the amazing Make A Wish Foundation. A few weeks ago came the next announcement, plush pets soon to appear at the Blizzard store with “bonus” in game pet codes. This was sneaky. 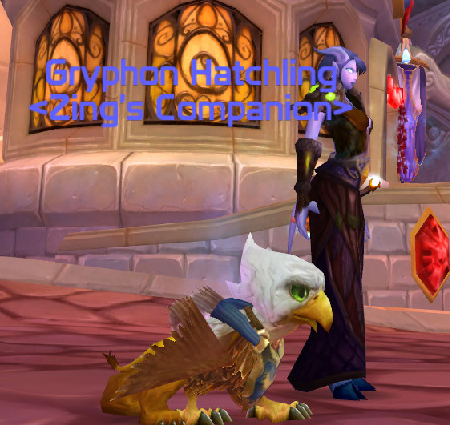 Blizzard know there is a section of their player base that will pay for in game pets. They knew this before they started dabbling in it themselves through the sale of TCG loot cards on Ebay. 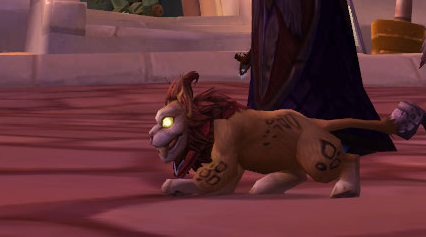 This time they charge more and you get a toy, a hands on version of the pet you want in game. I groaned again. I also sat refreshing the Blizzard store on the day of release 😦 Up until yesterday I was cursing rather a lot as the order status said processed but not shipped (and yes, I’d hit express shipping :() Imagine my delight then when I was woken up this morning by a knock at the door. Okay, so initially it wasn’t delight, I hate being woken up, but once I saw where the package was from, it turned to delight. So, without further delay, here they are. Sooo, I was initially more interested in locating the game code cards while unwrapping the box. However, I will admit, they’re seriously cute teddies. 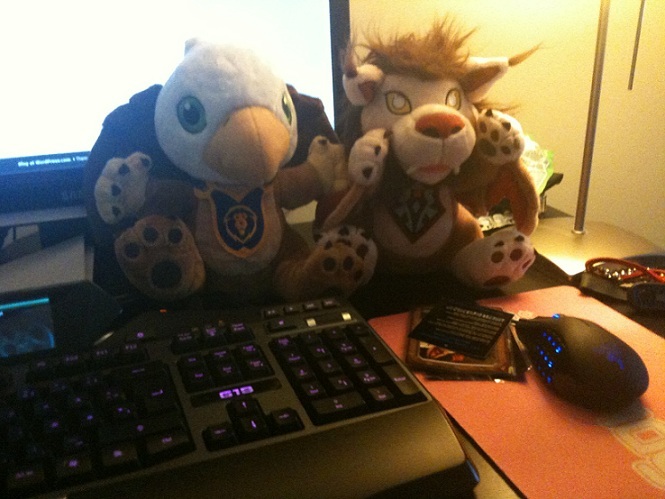 They came in individual bags with their respective names on and now they’re living by my PC. Will they make me perform better in raids? I doubt it. Are they still making me coo over their cuteness? Absolutely! Onto the in game codes. So there we have it, Zing has more pet, I have new teddies and all is well.